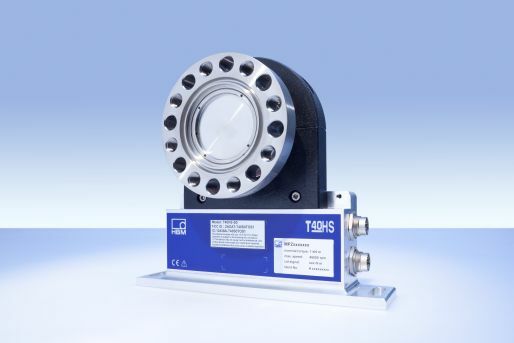 T40HS is the space and cost saving torque transducer for your high-speed application up to 45,000 rpm. T40HS is characterized by its short design and offers high stiffness and precision thus allowing for a low measurement uncertainty when testing high-speed propulsion systems, turbines, transmission test rigs, adjustable actuators or the efficiency of complete drive trains. Due to its lightweight titanium body, the high-speed torque sensor has a low moment of inertia. This results in a lower torque during acceleration and reduced bearing load. You thus increase the lifetime of your propulsion system. The perfect solution for motorsport engine or aerospace applications. High accuracy guarantees wide measurement ranges. The minimal measurement uncertainty enables reliable results and therefore ensures accurate end of line control in production. Due to its lightweight titanium body, the high-speed torque sensor has a low moment of inertia. This results in a lower torque during acceleration and reduced bearing load. You thus increase the lifetime of your system. Reliable under high dynamic or harsh environmental conditions such as electromagnetic interference. Developed according to the relevant standards.